I was hanging with my friend Kellen at work and he was wearing this amazing watch! 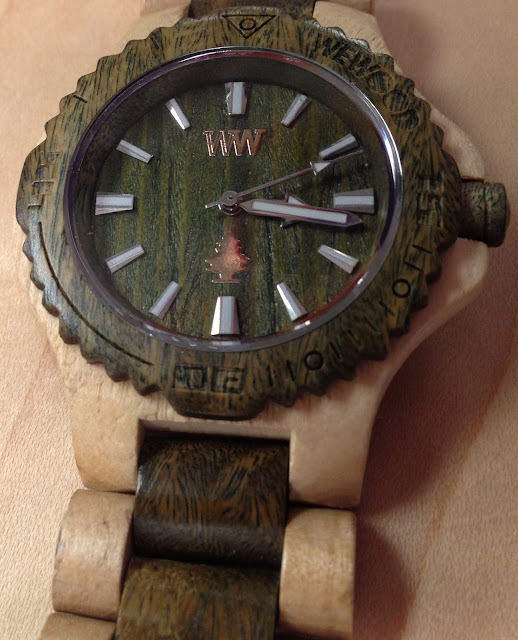 The watch Kellen is wearing is from WeWood Watches. While exploring their website, I discovered that they do not make women's watches. Instead, they claim women enjoy the large cuff look of the watch. I don't really believe that - I have very small wrists and I think it might just take over my arm. I don't want that kind of watch for everyday wear. Special occasion only!! 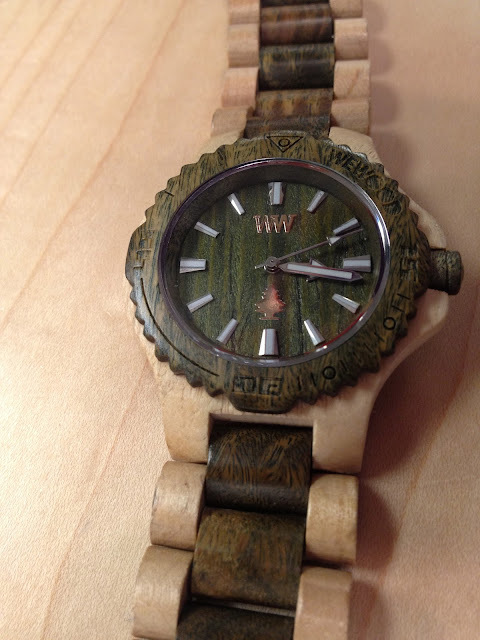 One thing I do love: when you buy a watch, they plant a tree. They have partnered with the American Forests’ Global ReLeaf Campaign to complete the planting of your tree. I do adore the look of these watches for men, but I don't know if they would work on a woman as small as me. Oh well. Maybe one day they will make smaller watches. A girl can dream! !